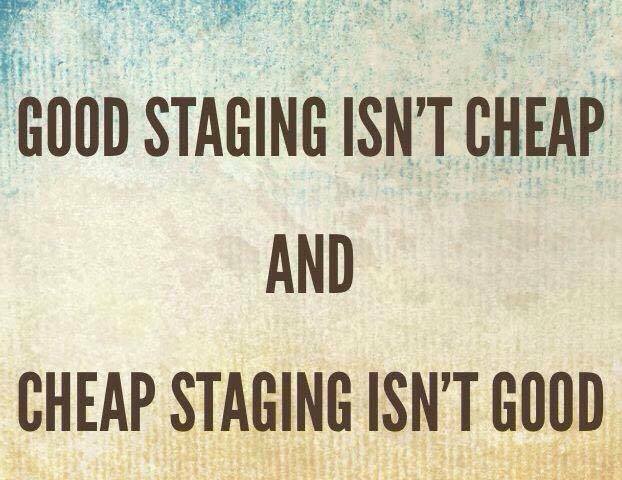 What do home stagers really do? I’ve decided to answer this question that a lot of people are asking by giving a play by play of a typical staging of a house for the market. Home builders or property investors contact me sometimes to ask whether I can help them get their properties sold. At times, the caller has already had their home on the market for a long time. In order to try to get the home to sell, they decide to stage it. Other times people have done research ahead of time and they know that a staged home will have better photos for the online listing. They decide to stage before putting the house up for sale. The best scenario is where the client is looking to stage before selling. This has vastly better results for selling your home. The typical first question is ‘How much do you charge”? That is a very difficult answer to answer without seeing the house first. For vacant homes in staging condition (this means they have been recently built or renovated) I can often give a ballpark figure, but for partial stagings, occupied stagings, and model home stagings I will need to see the property first. In the case of occupied stagings, a comprehensive consultation is needed. • How big is the home? • What is the list price of the home? • What type of home is it? Condos, bungalows, and two-story homes all show differently. Related reading: How much does home staging cost? The major consideration for most people is price. The up front cost is what most people are looking for, so they can make a decision whether they want to pay or keep their money in their pockets. But it’s not that simple! Home staging is an investment. By paying 1 dollar for home staging, you can expect the final price of your home to increase by 3 to 10 dollars. To take a look at the research, check out my article Is home staging worth the cost? Remember: Not all home stagers are equal. Will you choose a qualified stager? Will you choose a home stager for whom this a full-time job or just a hobby? Does your stager of choice have a great portfolio of ‘before & afters’ of their own work? Do they have client testimonials? What proof do you have that the home stager you’ll choose will get results? Price should not be your biggest concern. For a vacant home, after the phone call from the Realtor, homeowner, builder or developer, I will drop by to see the house to determine what needs to be done to make for optimal showing. I will take some photos and measurements and discuss the scope of the job. Within 24 hours, I send an e-mail to the owner with my estimate. This estimate is free. A contract outlining all the particulars of the job will be drawn up if the proposal is accepted. After the contract is signed and I receive a 50% deposit I begin the process of finding suitable large furniture to rent. I team up with some of the best suppliers in the city and I can get what I need because of strong professional relationships in the industry. Still, with the research and going around to check the inventory around town, this process can take a whole day, depending on what’s available. After all the furniture is picked out and a delivery time settled upon (usually 1-3 days), I begin to move my own inventory of small furniture pieces, rugs, window coverings, bedding, plants, cushions, pillows, and throws, art & mirrors, bathroom & kitchen accents and lots of other accessories. Sometimes, if I can get the key to the home, I will begin moving those things in before delivery day for the furniture. After the furniture arrives, it will take 4-8 hrs (and sometimes more) to put it all together and get that WOW look. This involves a lot of activity: going up and down stairs, lifting, hanging, reaching, etc. While the results are beautiful, it’s not a very glamorous job! By the time I’m finished I have had a real workout! So, you can see, it can take two or more days to effectively stage a new average-sized vacant house. A lived-in house that is going on the market always requires a consultation. This usually takes 1-2 hrs depending on the size of the house. The cost is $200 +HST for an average sized house. I will go room by room with the homeowner and tell them what needs to be done to make their house compete successfully with other houses. My advice can include cost effective repairs, updating, painting, cleaning as well as the usual de-cluttering and de-personalizing. Some sellers use the consultation to set them on the right path and do the staging themselves. Others may want me to come back after the ‘to-do’ is completed by the homeowners, to stage their house using proven staging techniques to make it ‘Open House” ready. This can include removing, re-purposing, re-arranging the home owners furniture and accessories. It also may involve renting some items from me, to help tie everything together. Occasionally, I may need to rent some furniture as well. There is an hourly rate for this ‘hands on’ staging plus a monthly rental cost if rental items are needed. The time needed to do all that is required depends on the size, condition, and scope of work agreed upon. I have had to spend 3 days at a large house and 6 hrs at a small, ready to stage house. After all that work, it feels great to see results- before too long, the house is sold! I’ve gone over the steps required to stage a house, from getting a phone call to meeting to discuss the job and provide a quote for a vacant (new or recently renovated) house. An occupied home requires a walkthrough consultation. I make recommendations about what updates/repairs the home needs at that time. Once agreements are made and a contract is drawn up, I get to work by visiting my providers’ inventory and choosing furniture to rent. I get a commitment for delivery day and visit my own inventory of small furniture pieces, artwork, and fixtures for the home. If I can access the house before the furniture delivery day, I go ahead and get many things set up to help get the process started. Once the furniture is delivered I spend a final day setting everything in place and adding finishing touches to ensure the house shows well. If you’re interested in having a home sell quickly and easily, visit the contact page and drop me a line! Ten reasons to stage your home before listing. Hire a Professional Photographer if possible – If not, read this! What is home staging and why should you care? Cathy did an AMAZING job in a very short time frame and I would absolutely use her services if I ever sell again (though I love my new house, thanks Cathy for speeding the process up! ).